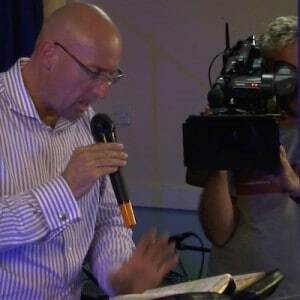 Evangelist Vincent ten Bouwhuis has featured in several TV documentaries in the United Kingdom and the United states of America, due to being a bold spokesman with great expertise and experience combined with the ability to explain things with clarity and to bring understanding to a wide audience. As a straight forward person with a clear personality he has become a respected adviser to the secular press and media on topics of Christianity, evangelism, theology, the supernatural, deliverance ministry, inner healing ministry and identity disorders, healing and exorcism. Evangelist Vincent featured in several TV programs and a documentary on Channel 4 one of the largest TV stations in the United Kingdom, he has also participated in documentaries that have been aired on CBS and other USA channels and British BBC. 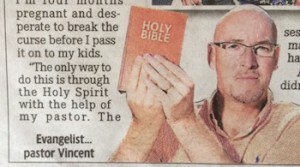 In the British press Evangelist Vincent has been featured in full page articles by Britain's largest broadsheet newspaper the Daily Mail and the biggest Sunday tabloid newspaper the Sunday Mirror. Evangelist Vincent has been open to the media to see and report as his motto is to have open walls towards the world, in the New Testament book of Acts the power of the Lord Jesus Christ was displayed openly, publicly and outdoor for all to see. During Channel 4's recording of Evangelist Vincent's preaching 'The Unchangeable God Can Change You' as part of the documentary.